Huge congratulations to Castle Rock and J-Nels on their awesome wins today! I don’t think I could be more excited for these wins!!! Not only are they very deserving does, but we have some very close relatives in our herd! For time sake I will mention just a few! 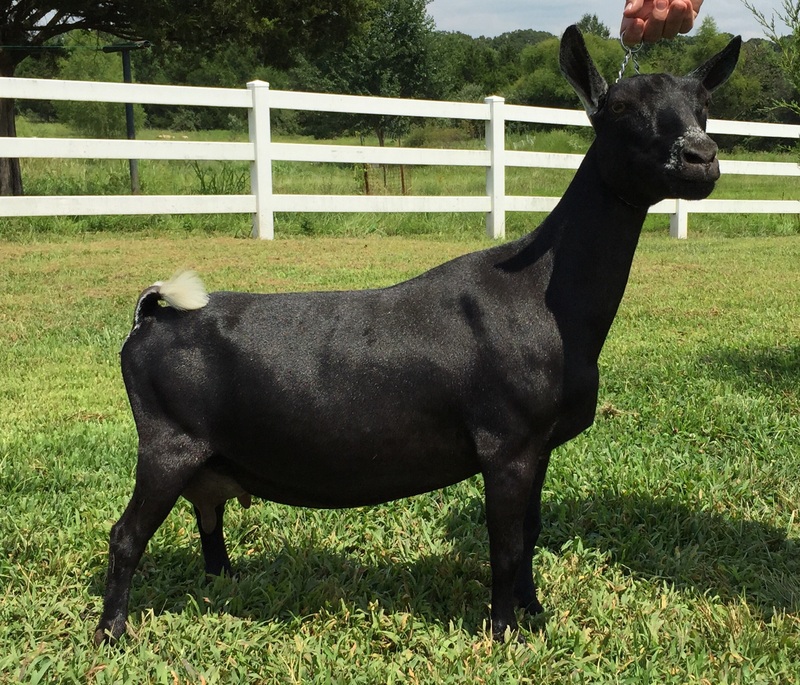 Chenango-Hills Prince Valiant is a Chenango-Hills Bouncy Trixie son. Bouncy Trixie is Spatzle’s sire’s dam. Castle Rock Serac is full brother to Castle Rock Snownamie. Snownamie is Flash Flood’s dam. So Serac’s kids are first cousins to this year’s national champion. **Both of these boys have kids on the way so if you are looking for some awesome genetics check out our kidding schedule page! Finally, I must mention our beautiful J-Nels Eentsy, who is Spatzle’s daughter!